Louise Phillips Writer: How Times Have Changed? - Dr. Who -What -How? Okay more than a little tight for time today with my multi-tasking skills being pushed to the limit, today's post will be short and hopefully sweet, or if not sweet, full of smoke! Anyhow, I digress, but perhaps I might return to this subject again. In the interim, because I know how much you have been enjoying these Vintage Advertisements, here's one to get you thinking about how times have changed! Also will read everyone's blog posts this evening - thanks! Thanks Derek - No can't say I've watched Mad Men, not much of a TV person, always seem to miss the best stuff - will keep an eye out for it now that I know. Hi Kat - the Ad is from the 1940's - its nuts! Where can I get a poster sized one of those ads for my hubby to hang in his office? He's a physician? Then again, most people probably wouldn't get the sarcasm. 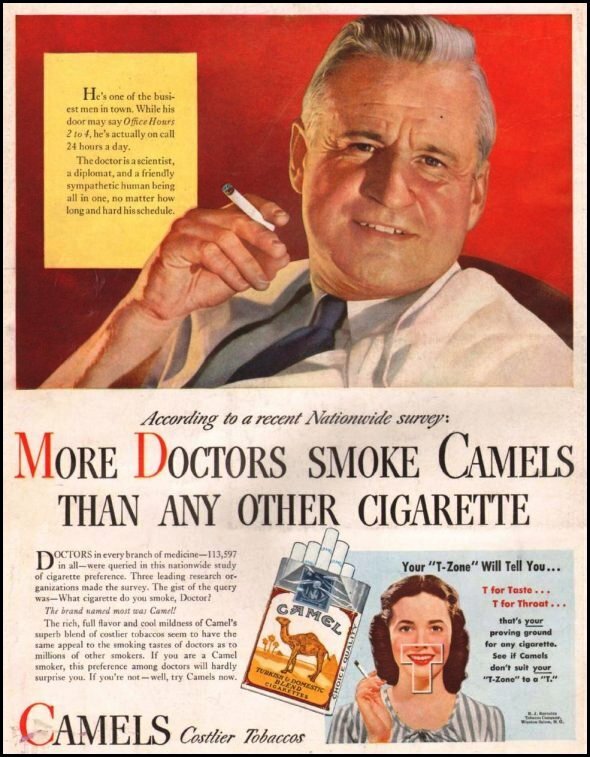 I'd say you could google it or else copy image - The Image is from a Camel Ad in the 1940! And yes maybe you are right about some not getting the sarcasm - or tread carefully!